Contact personal trainers at Orange Shoe. Take the first step to MASTER YOUR DNA by contacting the personal trainers at Orange Shoe. Our trainers are dedicated to helping you get healthier for good. You’ll gain confidence and strength with every personal training session. As your body changes, your personal trainer will adjust your workout to keep you dominating goal after goal. Let our welcoming personal training community build your strength and motivation. In our studio, you’ll never get lost in a crowd or be reduced to a number. 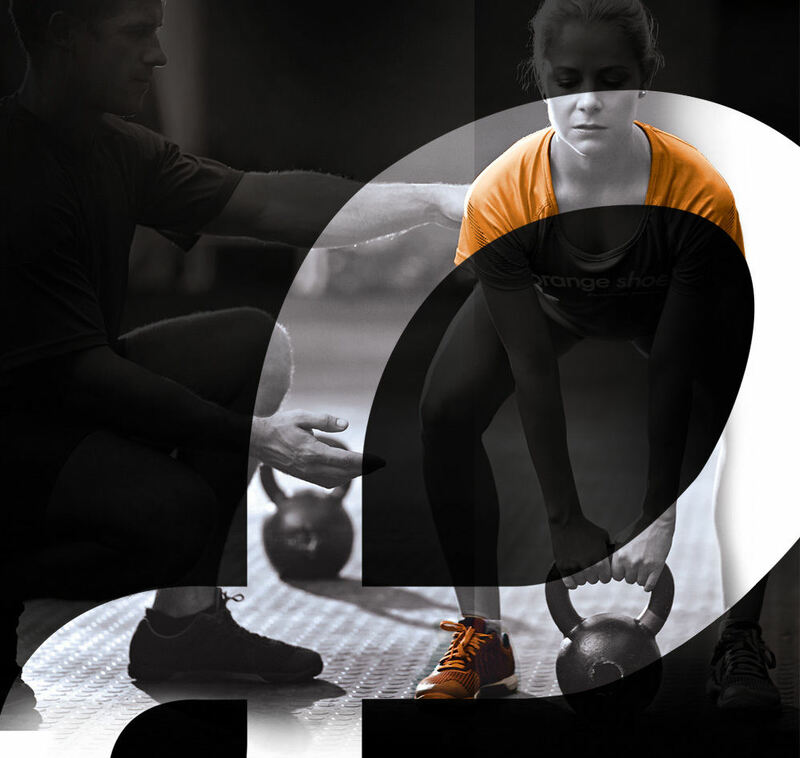 At Orange Shoe, the personal trainers get to know you and your goals in order to provide the personalized training and support you need to thrive. Can’t make it to our studio or prefer a more private location? Your Orange Shoe personal trainer will come to you — at your home, at work, or anywhere else convenient for you. Don’t want to go it alone? In addition to one-on-one personal training sessions, you can sign up for our small group fitness classes or engage in a partner session. Personalization helps you get the most out of your personal training and disarm the excuses holding you back. MASTER YOUR DNA. Your first session is on us.